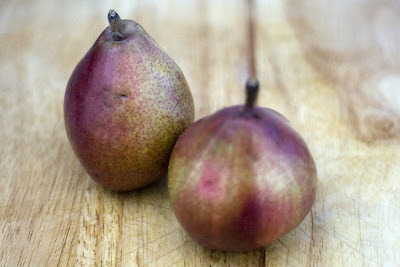 I had been pondering a few days what to do with some beautifully ripe red pears from Box Fresh. 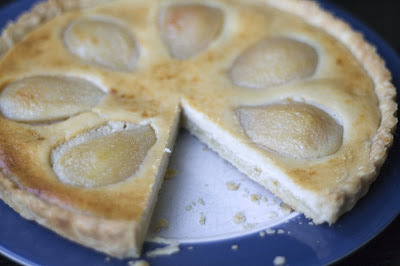 I was in the mood for creating a tart and sort of combined a few different recipes to make this pear and ricotta number. 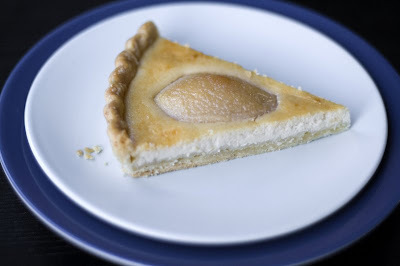 It is a lovely combination; the soft subtle flavour and texture of the ricotta filling; a crisp buttery pastry and an burst of sweet pear. I had a piece on Sunday with a chai tea. Afternoon heaven. Am awaiting the verdict from others; but would possibly add some cinnamon to the pears - but I love cinnamon in anything so that could just be me! 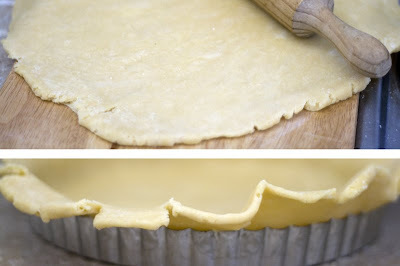 For the shortcrust pastry tart; bring the butter and flour together with your fingertips in a rubbing motion. Don't overwork this, just until it is a breadcrumb consistency. 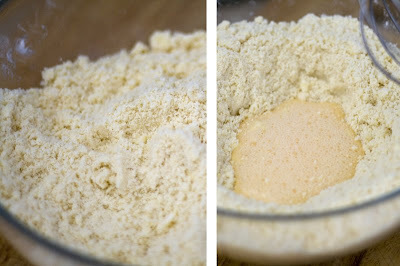 Beat the egg with the chilled water; combine with the butter & flour mix until it forms a dough. 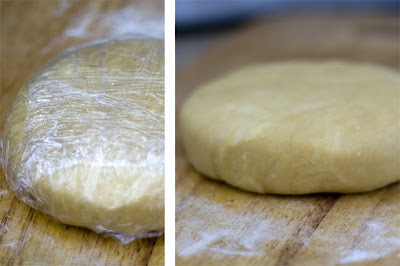 Shape into a round disc, wrap in plastic and refrigerate for an hour. 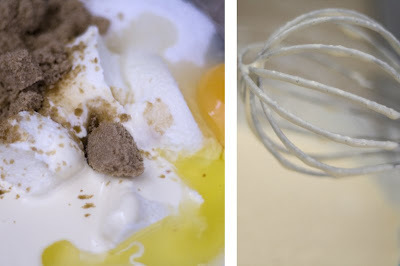 Whilst the pastry is in the fridge, whisk together the ricotta, double cream, vanilla essence, egg, lemon juice and sugar. Cover and place in the fridge for the time being. 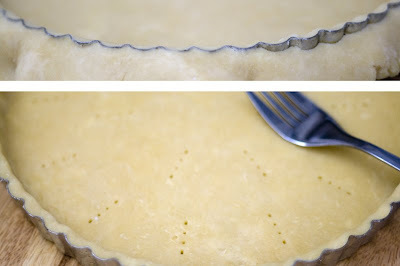 Don't forget to prick the pastry base with a fork! 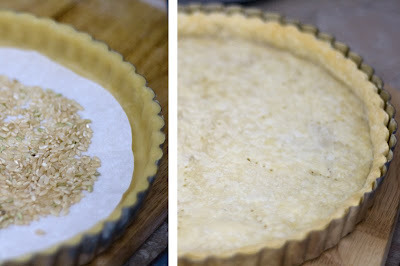 Line the base with some baking paper and use pie weights or like me some uncooked rice. Blind bake at 160degree celsius for 15mins. 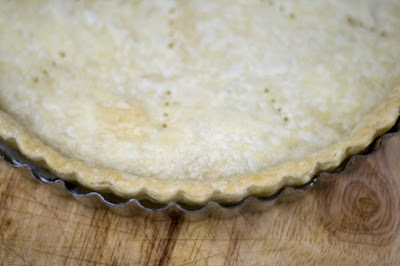 Remove from the oven, remove pie weights/rice and allow to cool a little. 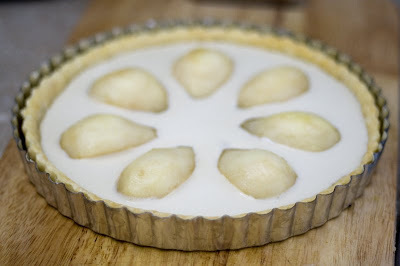 Whilst blind baking the tart case, prepare the pears. Peel, quarter and core. Heat the sugar and water until the sugar dissolves. 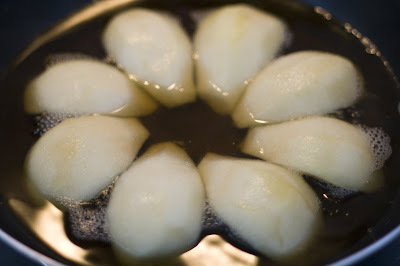 Simmer the pears for 10mins or until just starting to soften. Carefully pour the ricotta mixture around the pears, allowing it to semi submerge them; don't pour directly over the pears though. 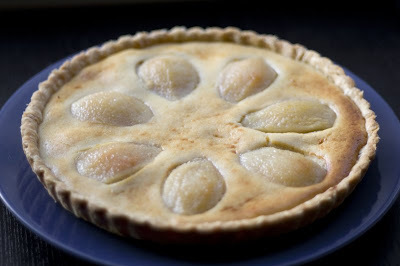 Bake in the oven at 160 degree celsius for another 30-40mins until the top is golden and the pastry browned. 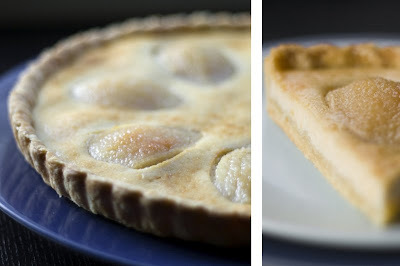 this tart looks perfectly delicate and lovely. 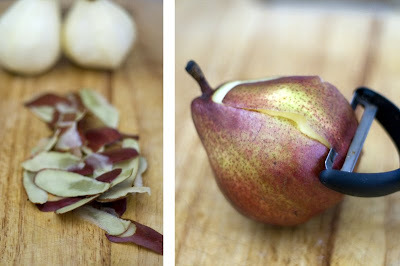 the pears are just gorgeous! Justin - thanks! 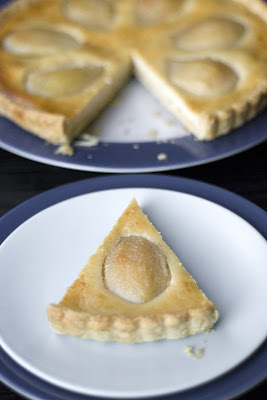 It is a very pretty tart; quite light tasting actually. 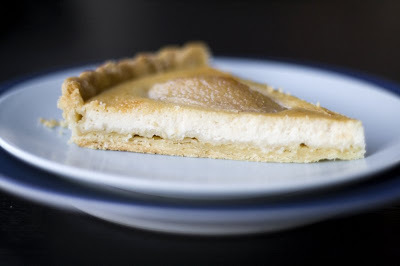 Fabjena - you should try some ricotta, its very easy to work with; pehaps try a chocolate ricotta tart or a lemon ricotta tart. 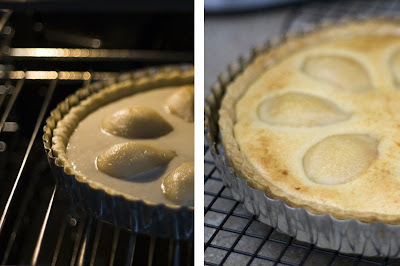 I've been looking for a good ricotta tart recipe. And I happen to have some pears on hand. Thanks for this!